An Amazon Echo Dot is displayed during a program announcing several new Amazon products by the company. Apparently, one of Amazon.com’s Alexa-powered Echo devices in their house had silently sent recordings to the caller without the family’s permission, according to KIRO 7, a news station covering Seattle and western Washington state that first reported the story. The person, who happened to be an employee of the husband, was in the family’s contact list. “My husband and I would joke and say, ‘I’d bet these devices are listening to what we’re saying,’ ” said a woman to KIRO 7 who identified herself only by her first name, Danielle. This isn’t the first time that Amazon’s smart speaker has garnered scrutiny over potential eavesdropping. Last month researchers discovered a flaw in the Alexa voice assistant, enabling an Echo to continue listening to a person without them knowing. 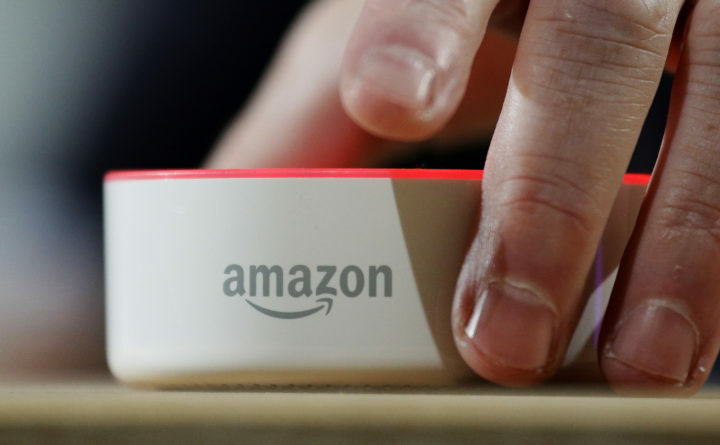 The devices are supposed to record audio only after users issue a voice command, known as a “wake word.” Amazon quickly fixed the vulnerability after researchers alerted the company.